The Wärtsilä 31 engine, which has been recognised by Guinness World Records as being the world’s most efficient 4-stroke diesel engine, has won yet another award. At the European Marine Engineering Conference’s gala dinner, held in Amsterdam on April 13, the Wärtsilä 31 was announced as being the winner of the Marine Engines Award. “The Wärtsilä 31 truly represents a breakthrough in marine engine efficiency, and its introduction last year marked the setting of a new benchmark for 4-stroke engines. It provides customers with the marine industry’s most advanced, powerful, fuel efficient, fuel flexible, and environmentally sound engine. The engine’s development has been based on the very latest technology, and it opens the door to a new level of optimisation that is valid throughout the entire life of the vessel,” says Stefan Wiik, Vice President, Engines, Wärtsilä Marine Solutions. 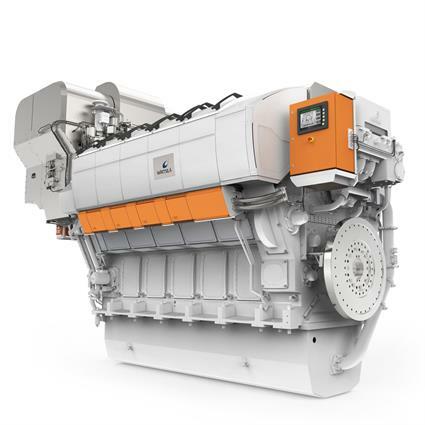 The Wärtsilä 31 engine comes in three alternative versions; Diesel, Dual-Fuel (DF) and Spark-Ignited Gas (SG). The multi-fuel capabilities that the Wärtsilä 31 brings to the market extend the possibilities for operators to utilise different qualities of fuels, from very light to very heavy diesel, and a range of different qualities of gas. The engine is designed to serve a variety of vessel types requiring main engine propulsion in the 4.2 to 9.8 MW power range. The remarkable increases in fuel efficiency and fuel flexibility that the Wärtsilä 31 brings to the market are matched by significant reductions in maintenance costs. For example, the first service on the Wärtsilä 31 is required after only 8000 running hours, whereas alternative standard marine engines require maintenance after 2000 running hours. The first Wärtsilä 31 engines have already been ordered. They will power a state-of-the-art new generation icebreaker currently under construction at the PJSC Vyborg Shipyard in Russia. The ship is being built on behalf of FSUE Atomflot, a subsidiary of ROSATOM, the Russian State Corporation for Atomic Energy. The order was signed in September 2015.